Last year hundreds of volunteers donated nearly 1,000 hours of their time to Inner City Soccer, Inc. They came from churches, civic groups, and corporations-many were individuals who simply felt a strong calling to help in any way they could. Several of other residents, groups, and organizations donated money, food, officiated games, coaching skills (and in many cases, all four!) 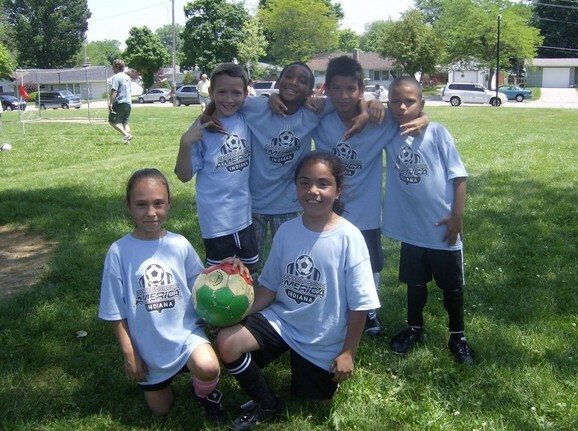 to help Inner City Soccer meet the needs of our urban youth. As a non profit, Inner City Soccer relies on YOU. We would not exist withut the generous efforts of our volunteers. Please remember to thank them for all their hard work. If you are interested in being one of these wonderful people, please indicate below. You must be 16 or older to volunteer at Inner City Soccer, Inc.
You can volunteer coaching league games with your parent or guardian, if you are between the ages of 13 and 15.